Peace and Quiet, Scenery and a Museum in Weston, Vt.
Weston, Vt., is famous as the home of the Vermont Country Store, but look around a little more and you’ll see one of Vermont’s most beautiful towns. The classic town common, the well maintained older homes and buildings, interesting little niche shops, the friendly folks, and an overall sense of peacefulness in the air make it hard to leave. Before leaving Weston on a recent trip to south and central Vermont, I heard a roar of water up the road, and proceeded to walk there to find this “hidden gem” source. It was a beautiful waterfall in an old mill building setting. It’s officially called the Old Mill Museum. Built in 1780, this former sawmill and gristmill is today a museum featuring a collection of machinery and tools from Weston’s industrial and agricultural past. My first thought was “This is the most beautiful place I’ve seen in Vermont!” Noteworthy, given all the scenic competition in this state! In retrospect, Vermont has many spots nicer than what I saw at the Old Mill, but I’d still rank it a nine out of 10 scenic Vermont destination. 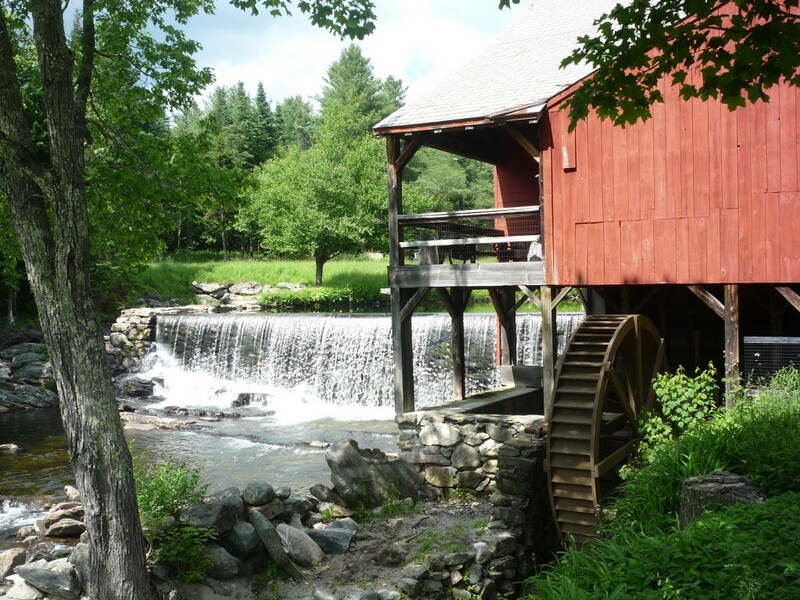 Yes, it doesn’t have the travel attraction appeal of, say, the Vermont Country Store — or the amazing mountain scenes in Stowe — but I strongly recommend visiting the Old Mill. It’s such a nice place to take a unwind, enjoy the scenery and, if you’re up for it, take a tour of the building. According to the Town of Weston’s Web Site, the Old Mill is open for tours on Saturday and Sunday afternoons from July 2 through October 9 and on Wednesday afternoons through September 7. I’d recommend calling, though, at 802-824-5294 to ensure those hours are good, or if you’d like to arrange a group tour. Whatever the case, this is quintessential Vermont that absolutely deserves, at the very least, a look — and better yet, an extended stay to enjoy this oasis in the middle of an already peaceful town. It’s just a two minute walk from the Vermont Country Store just beyond the Weston Playhouse at the town common! ← Taking a Historic Cemetery Tour in Plymouth, Mass.